Living Water has been a polish I've been eyeing since it's release so when I placed my order for Cult Nails not that long ago I knew I needed to include it! Living Water is a dark blue-teal jelly with bright aqua shimmers in it, and to me looks exactly like the name in the sun! It's very unique and is the perfect dark shade as it's distinctly blue-teal even in low light. A pet peeve of mine is shades so dark they look black except when in full sun, so this made me really happy! 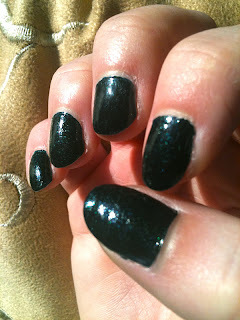 Living Water applied well (just as Iconic did- you can see my review here: Iconic Cult Nails Review). I had a little bit of patchiness on some nails but that was solved with a third coat. It lasted well like Iconic did too. One thing I'd definitely like mention though is that this polish dries a weird sort of matte texture, so it really really needs/benefits from a top coat in my opinion. Same great brush and bottle as Iconic had. I really wish my photos showed just how lovely this polish is but they really just don't capture it. I tried though! Cult Nail's polishes cost $10 USD and are shipped really quickly and securely! I love how they're packaged in little wraps of paper-towel/cloth-like material. Overall, I think this polish is a good pigmented and unique shade. Perfect for fall in it's richness. Though again, I think it needs to have a top coat (which for me isn't a problem as I use a top coat always anyways). I do love the Cult Nails formula though, I get the best wear and application with these! Sprite Rating: 8.5/10- lost points for slight patchiness (i.e. 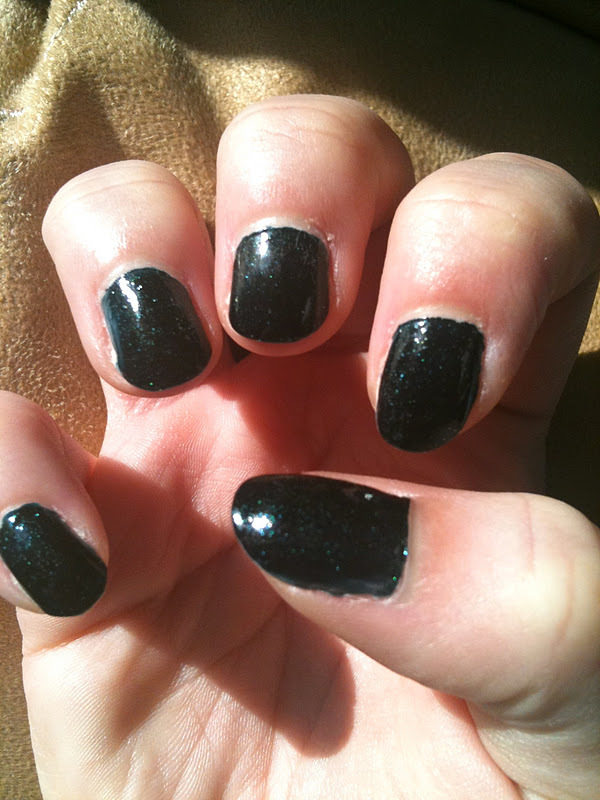 three coats and some spot touch-ups) and weird matte dry-down but other than that an awesome polish. Would I Buy It Again? Yes, I totally would. Great shade, easy application, great wear. Living Water looks so beautiful. I know what you mean about darker shades looking black in low-light... I really dislike that too. 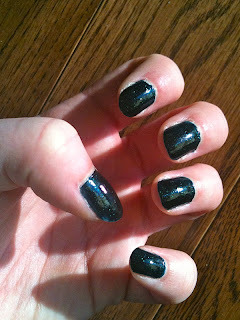 Love finding those dark shades that are distinctly *not* black in any lighting!